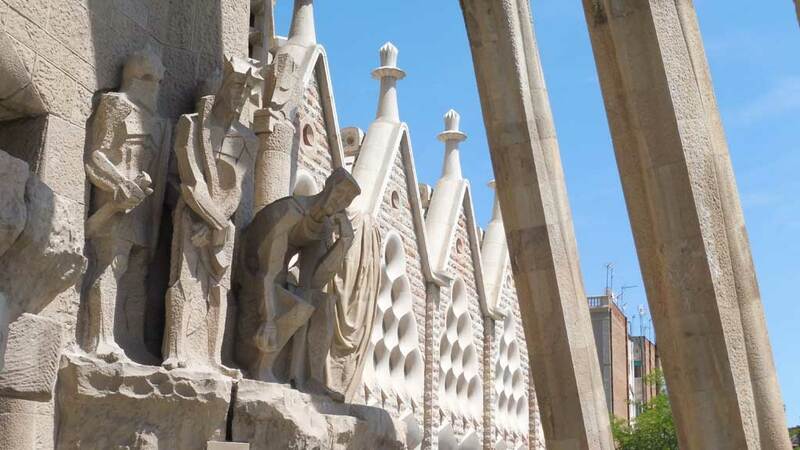 The most popular attraction in Barcelona is La Sagrada Familia (Sacred Family) by Antoni Gaudi. The origins of the word “gaudy” are easily understood once you’ve seen his architectural creations. 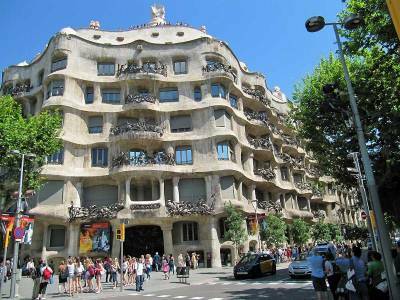 Although Gaudi designed the building over 100 years ago, the construction still continues today. There are many years of construction remaining before his vision is completed. George Orwell called it “the ugliest building on earth”, but the public disagrees. Expect large crowds, as there are over 2 million visitors each year. You must buy tickets online for a specific entry time. 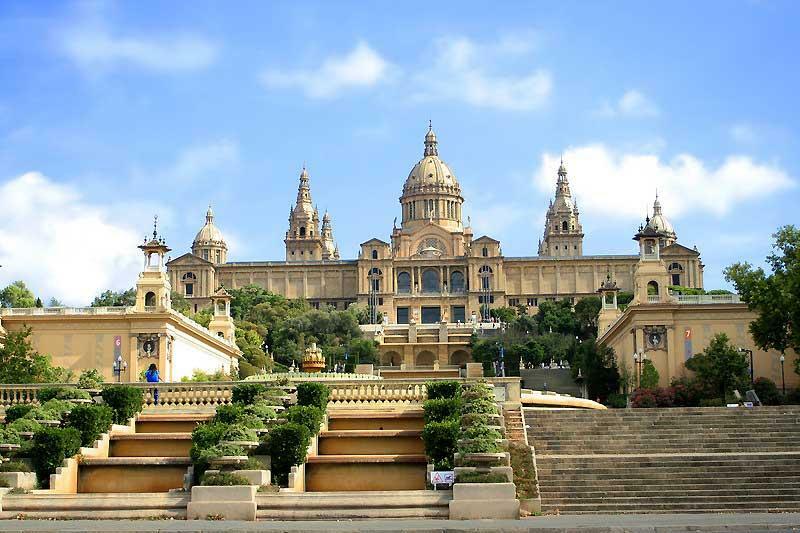 Get a discount when you buy a Barcelona Card from the Barcelona tourism board. Walk past the Hospital de Sant Pau while you are there too. Walk the famous street named La Rambla. You can start at the inner harbor. See the shop, restaurants and unique buildings. Along the way, drop in to the Mercat de la Boqueria (the Boqueria Market). It’s Bareclona’s largest market. 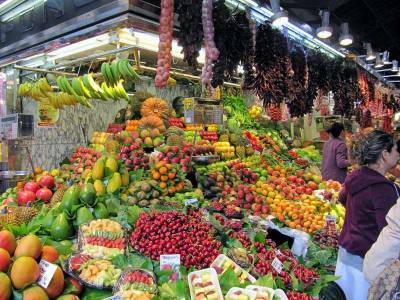 Buy fruits, vegetables and meats or eat at one of the busy stalls cooking fresh dishes. There’s also a newer Rambla del Mar along the waterfront. The Barri Gotic (Barri Gothic Quarter) borders La Rambla. 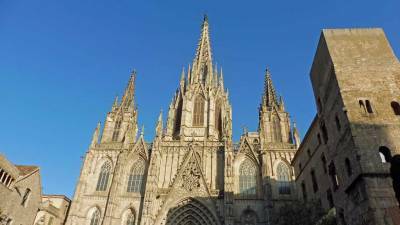 See the Barcelona Cathedral (La Seu). 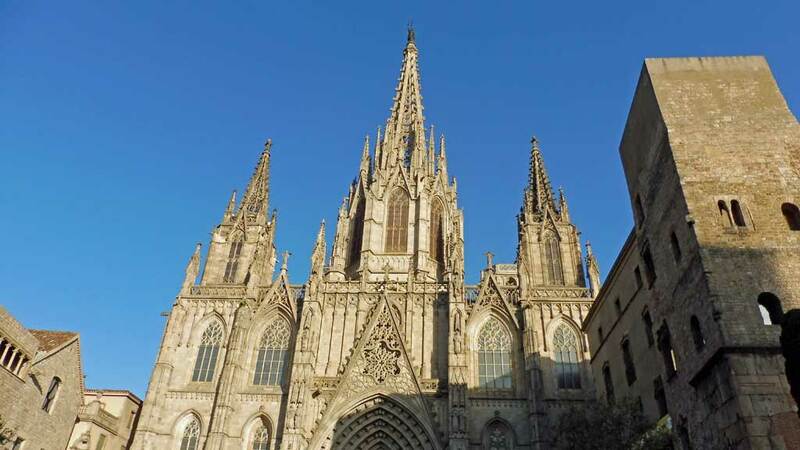 It’s one of the most impressive churches in Spain. Beside the cathedral is the ancient Roman gate at Placa Nova. Also in the Gothic Quarter is Plaça Reial with the Museu d’Història de la Ciutat de Barcelona (Roman ruins) and Basilica de la Merce. 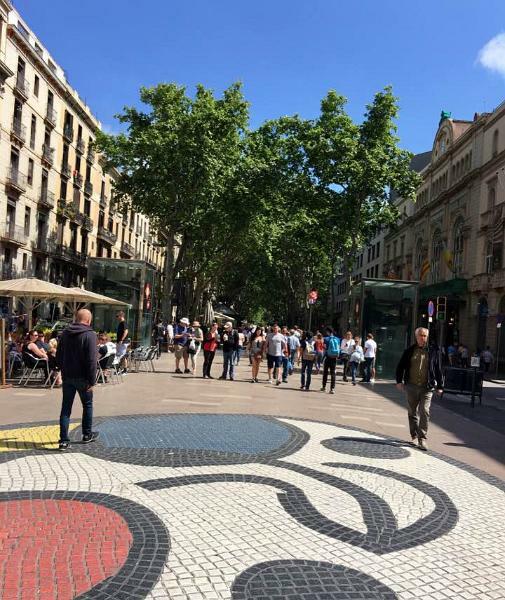 In the maze of streets you’ll find the Picasso Museum, the Basilica De Santa Maria Del Mar and the Music Palace Barcelona (Palau de la Musica Catalana). 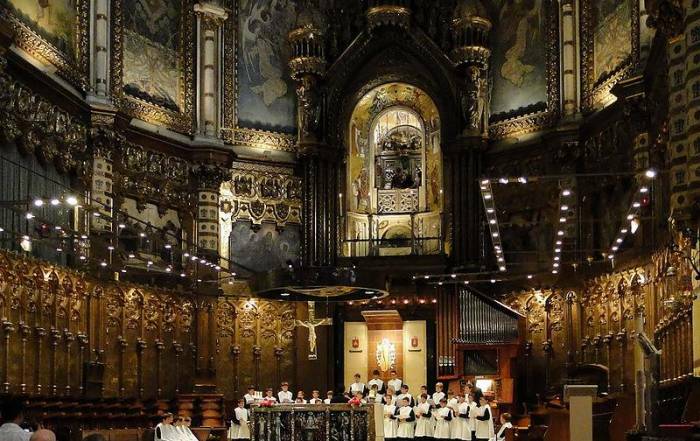 Some have complained that the Music Palace is so beautiful inside that it detracts from musical performances. 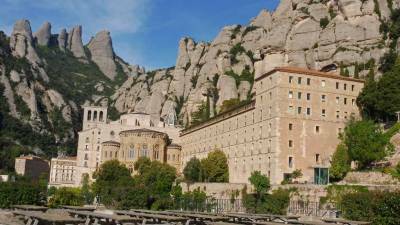 Travel an hour to the monastery at Montserrat. Take the Montserrat Tour from Barcelona. 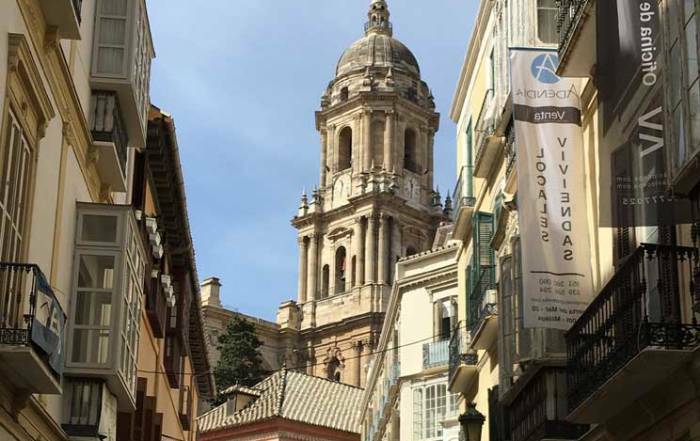 Travel a couple of hours to the Salvador Dali Museum in Figueres. 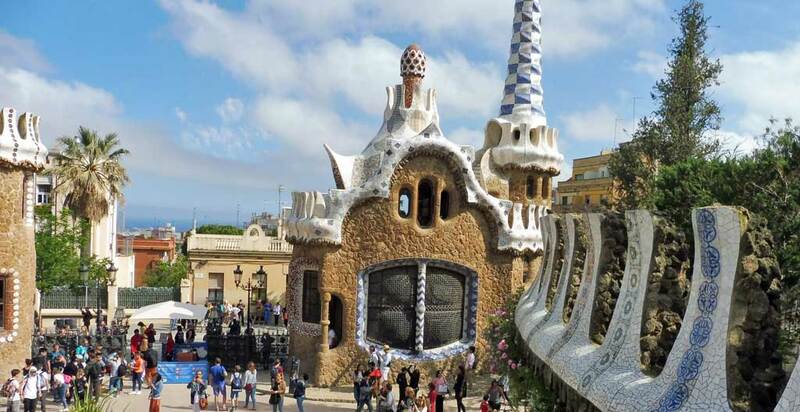 Try Viator’s Salvador Dali Museum and Cadaques Day Trip. Barcelona FC Museum Camp Nou Experience – seating for 100,000 soccer (football) fans. Festival de Sonar – held in June. Sant Joan – June 23rd, includes fireworks on both mountains. Festes de la Merce – last week of September. Barcelona weather is moderated slightly by the Mediterranean. The months from June to September offer the best weather. Average highs in July and August are 82 F (28 C), while average lows in summer are 70 F (21 C). In the winter months from December to February, average highs are 57 F (14 C), while average lows in summer are 43 F (6 C). Rainfall is lightest in the summer months and heaviest in the fall. 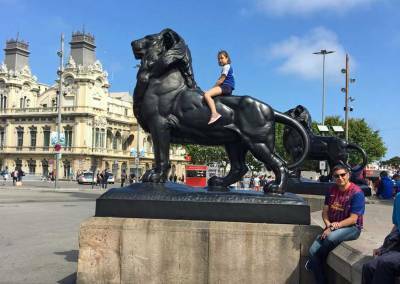 June is an excellent time to visit Barcelona. 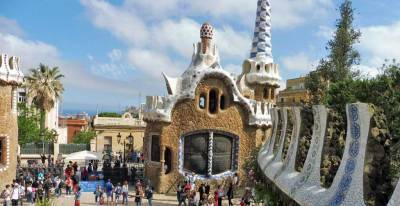 Park Güell – There’s an admission fee to wander this park designed by Gaudi. 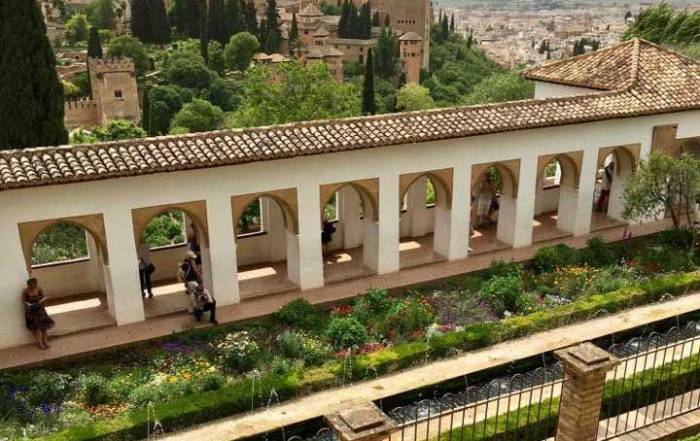 It’s located on the hillside above the city, which brings cool sea breezes on hot days. It’s best to book online tickets for a specific time, as the park sells out on admissions almost every day. 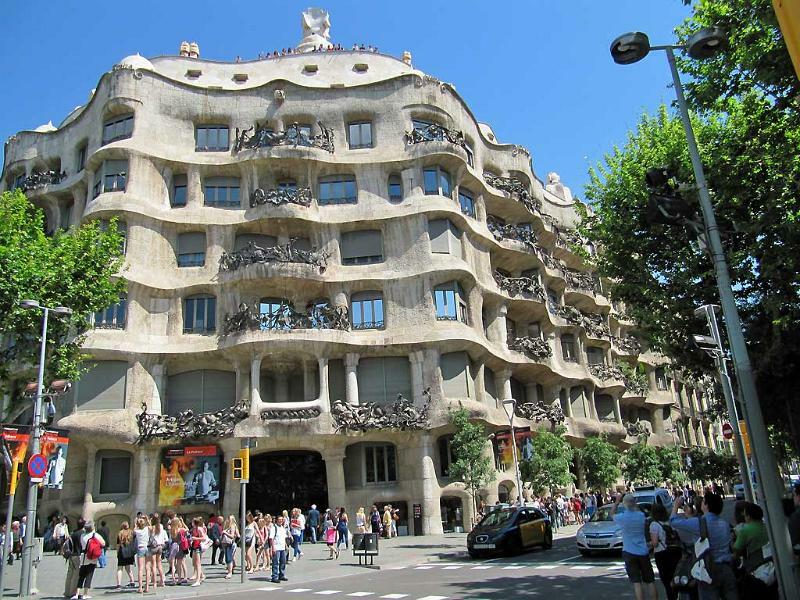 Casa Mila (La Pedrera) and Casa Batlló – apartment buildings designed by Gaudi on the street called Passeig de Gracia. Take Tramvia Blau (the Blue Tram) from Plaça de John F. Kennedy along Avinguda de Tibidaboto to Plaça del Doctor Andreu. Then take the funicular to the top of Tibidabo. 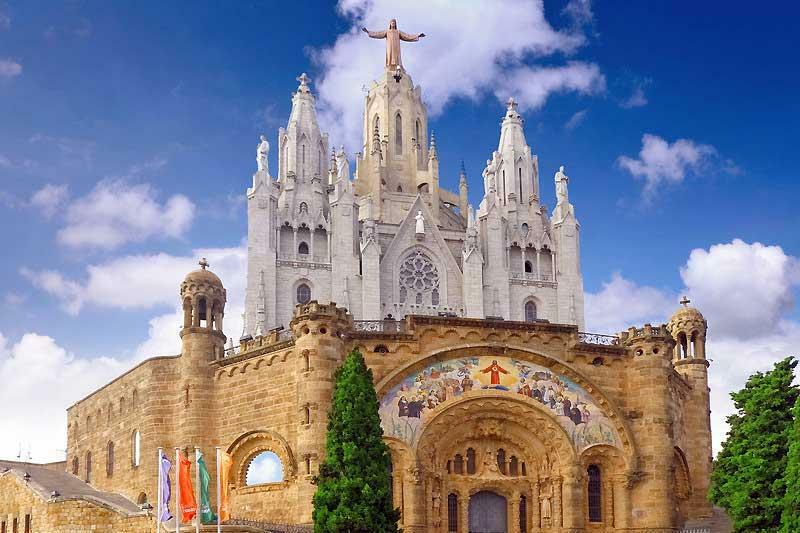 Enjoy the city views, the amazingly beautiful Templo Expiatorio del Sagrado Corazon de Jesus and the amusement park. From the port, ride the Transbordador Aeri del Port (Port Cable Car). 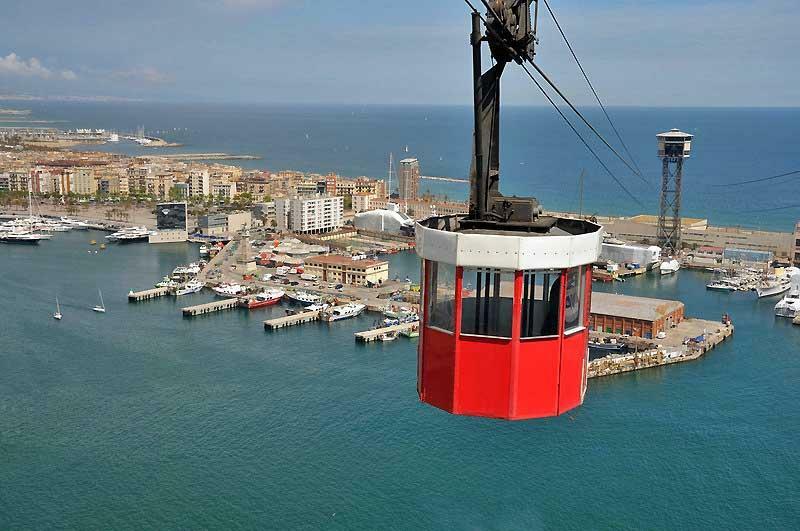 These red and white cable cars run between San Sebastian beach and Montjuïc Mountain. It’s also called Teleferico del Puerto and was built for the 1929 World Fair. Alternately take the Funicular de Montjuïc from Paral-lel Metro up Montjuic. Then take the Teleferico de Montjuïc cable car the rest of the way. To reach the funicular, enter the subway at the Paral-lel Green 3 Line and follow the signs to the underground funicular station. Have sardine tapas and a sangria to hold you over until the dinner hour, which is much later in Spain than in North America. Small-Group Barcelona Cooking Class – Spanish omelets, tapas or paella. Barcelona is quite a distance from the other popular cities of Europe, so access by air is often more practical than rail. The Barcelona El Prat Airport (BCN) is about a 20 minute cab ride from the downtown area. Taxis are the most expensive transfer option to the old town. There is regular Aerobus shuttle bus service from the airport to the downtown area, which takes about 35 minutes. It runs from either terminal. The train is the least expensive option from the airport on the RENFE R2 Nord line. The main railway station is at Barcelona-Sants Station. The Barcelona Metro (TMB) operates more than 10 lines,. All of them start with the letter “L”. Barcelona is a very popular cruise ship destination in the summer. Many Mediterranean cruises originate here. 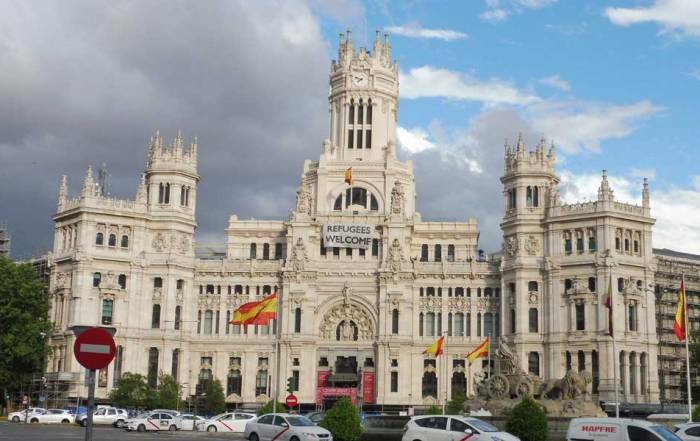 The cruise terminal is in the heart of downtown at the start of the famous La Rambla avenue. Barcelona also has a series of Mediterranean ferries that operate regularly from the port. Bareclona ranks with Paris, Rome and London for popularity with tourists. More than 4 million people live in the city. 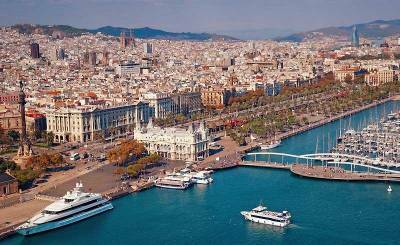 Barcelona is a Mediterranean port. The city is set among two mountains – Montijuic (mountain of the Jews) and Tibidabo. The city’s profile was increased by the World Fair in 1929 and many influences are still apparent today, such as the Spanish Village and the Port Cable Car. 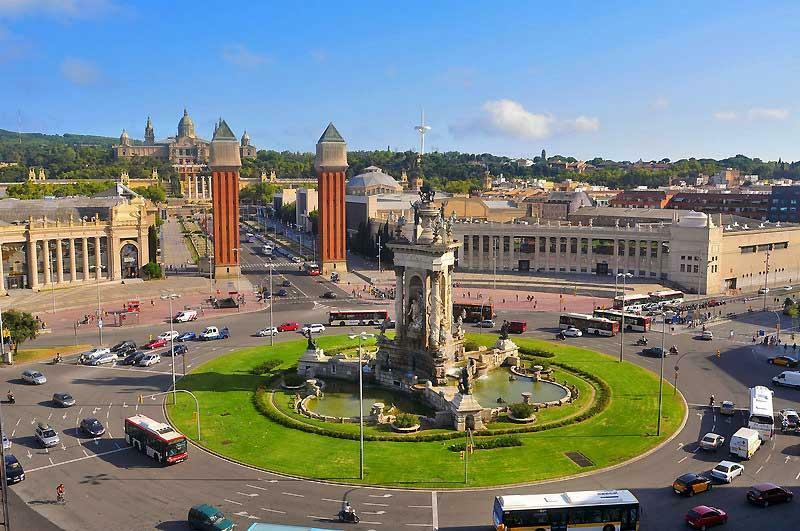 More recently, Barcelona has gained world attention by hosting the 1992 Olympics. Its fan base for soccer with FC Barcelona extends around the world. In 2010 Barcelona banned bull fighting, which is a Spanish tradition. 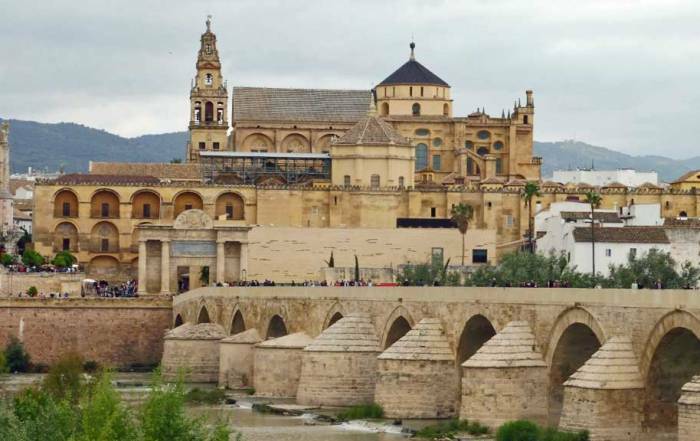 Over the years, Spain has experienced friction with the autonomous community of Catalonia. You will find many place names in Catalan language in Barcelona.